It is easy to overlook the minor prophets as just that—minor, less important. But bearing in mind that “minor” only refers to fewer writings, there are many nuggets of truth and insight to be gleaned from examining some of these lesser-celebrated Old Testament heroes. Rather than overlooking or neglecting them, it can be important to share with students the lessons of these smaller books. After all, many students growing up in church wind up hearing the same messages repeatedly, and become complacent (which is what this passage urges to avoid). 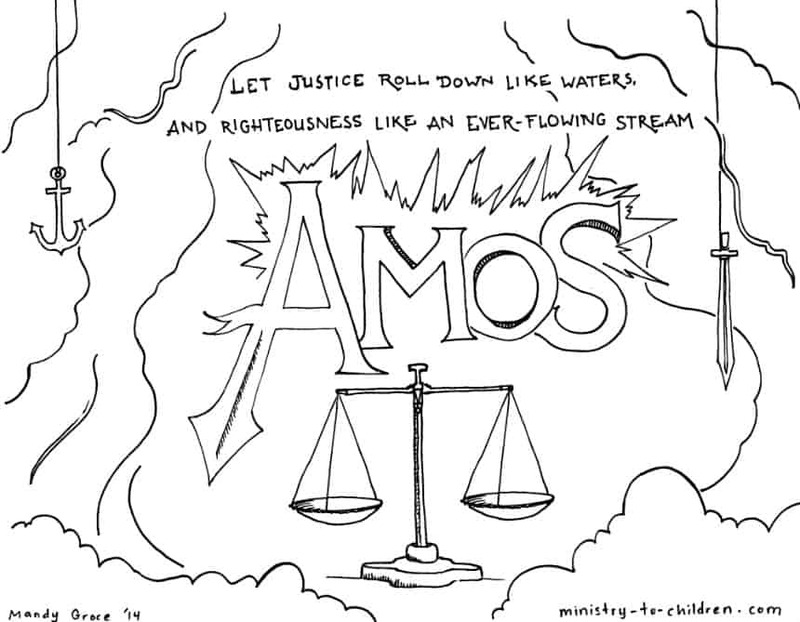 And there are just so many times Moses and the Israelites can flee Egypt, let’s face it…This lesson looks at the book of Amos for insightful reminders of God’s attributes and our responses to them. Lesson focus: God is merciful but also just, and when we ignore Him or develop apathetic attitudes, we can expect consequences. The best thing for us to do is seek God and try to do what is right. Materials Needed: Figs or Fig Newtons; “Famous Amos” cookies; cardstock paper; decorative materials (markers, stickers, etc.). Lesson Opening: Who is God? Start off by brainstorming character traits…divide students into two teams (as long as there are enough kids) and explain that you will be talking about characteristics or attributes…what does that mean? After making sure kids grasp that concept, play a brief game of traits. Call off a person (celebrity, well-known figure, fictional character, even someone in church) and have the teams come up with as many attributes as possible about that person. See who can come up with more. End by asking what kids can say about GOD. Who is He? What do we know about Him? Explain that today’s lesson will talk about who God is and how we can listen for His will and follow it. Look at the attributes of God highlighted here…He is almighty and powerful above all else. He knows our thoughts. God wants us to be passionate about our beliefs, on fire for HIM and convicted of His power and presence. Let’s try to be consistently working to do what is right. Brainstorm (or review) methods of being certain of God’s presence. Craft: Reminders…Encourage students to create items that will remind them to seek God and know His voice…provide paper for students to make a place mat and/or Bible bookmark. Post the verse(s) for students to copy (or have them printed) and allow them to add stickers, pictures, and other decorations. If students create bookmarks, remind them to try and use in Bibles; if they make placemats, encourage them to use for prayer at meal times, or to collect items for people in need. If possible, keep the created items and laminate for students to take home. Close with prayer and thank God for who He is. Ask for wisdom in listening to and understanding His words. Tony Kummer (Editor) reviewed & updated this page on : March 23, 2017 at 12:31 pm. All our content is peer reviewed by our readers, simply leave a comment on any post suggest an update.